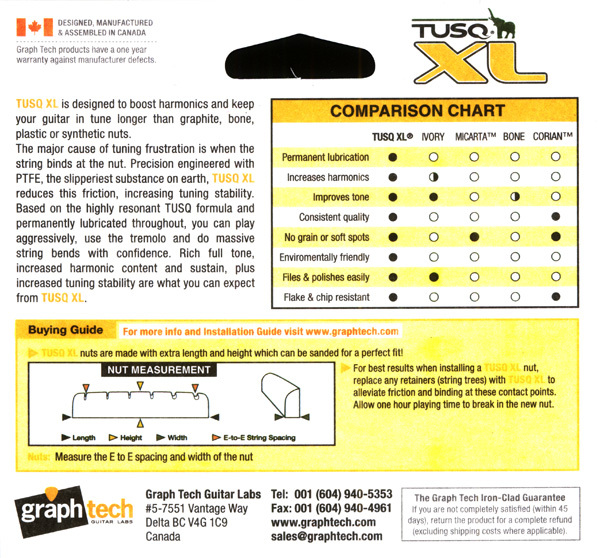 The Graph Tech PQL-5000-00 Tusq XL string nut is for Fender-style Guitars. Be sure to measure your current nut dimensions and compare against those below for correct fit.binding at the nut. 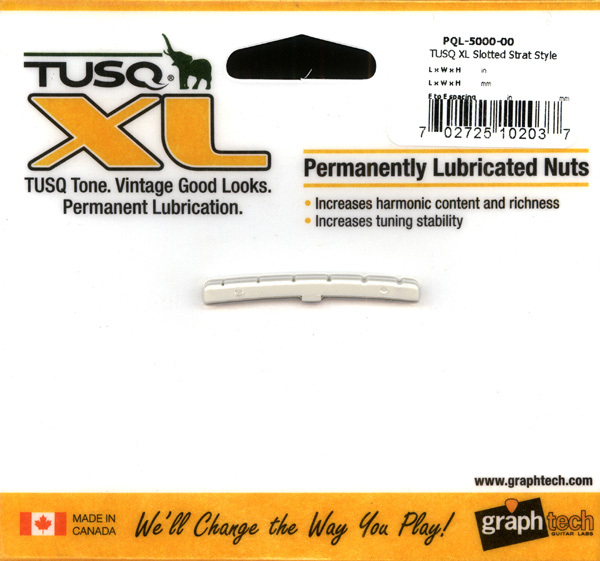 TUSQ XL is impregnated with PTFT, the slipperiest substance on earth and alleviates the binding grip the nut has on the strings. Strings simply glide back into tune! 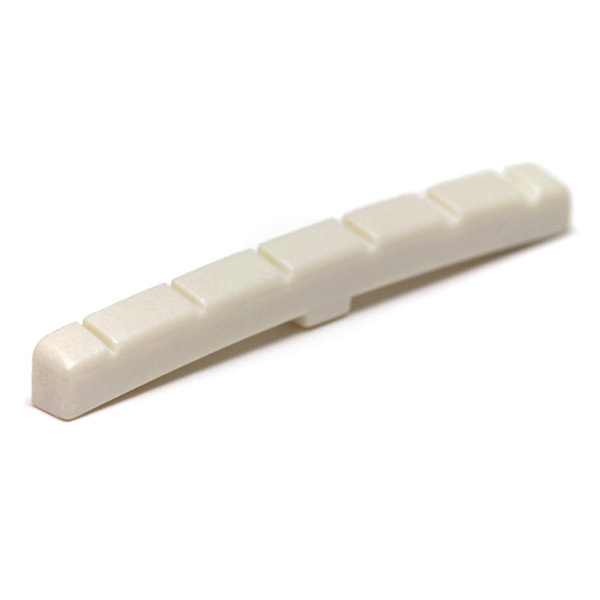 We now get our Graph Tech Tusq XL nuts in bulk from Allparts. You will not receive a retail packaged nut as illustrated to the right, these nuts will be delivered to our customers in plain zip-loc packaging. If you have any questions about this bulk packaging you can all Graph Tech direct at 800-388-7011 or 604-940-5353, they will verify the bulk packaging as Allparts distributes the Graph Tech products.